Separate, self-contained, secluded cottages close to the lake and the shops are nestled in an English garden setting offer a secluded retreat. All have a rural and mountain outlook and a degree of privacy not obtainable in a hotel or motel. 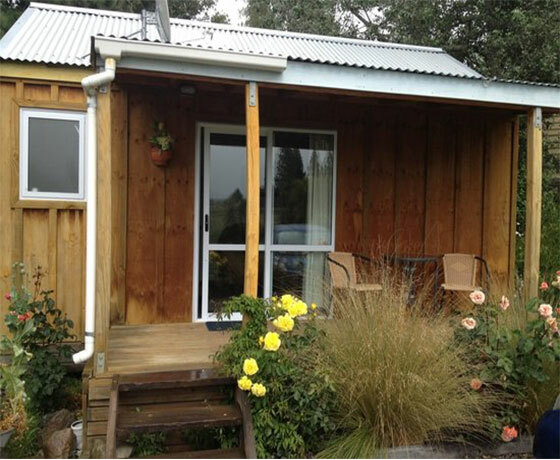 The seven cottages are self-contained and sleep 1-8 people. If you are looking for comfortable, cosy, and private accommodation, you have come to the right place. This comfortably furnished and warm home offers four bedrooms, two of which have queen beds and two twin bedrooms. A large bright kitchen, open plan dinning and living area assures you of a comfortable stay. The bathroom has a bath and separate shower. The house also offers huge partially covered sundeck with well maintained spa. The house has good lake views and stunning views to the nearby mountains. The shops and Restaurants are nearby but the house is situated in a safe quiet area. A Sheltered BBQ area and safe off street parking, make this home the ideal place to spend a few days. Tariff: $190/two persons, per night. Extra Persons: $30 per person includes children above the age of five. A one bedroom cottage with living area, fully self contained with an all new bathroom, washing facilities, kitchen, living area and large balcony overlooking rural scenes and mountain views. Comfortably furnished, tasteful decor, privacy and the large peaceful sundeck overlooking reserve and mountains make this cottage the ideal getaway for couples looking for that special place. The Tariff is $160.00 per two people .Wireless Broadband Available! Heat pump and air conditioning ensure a comfortable ambient temperature. 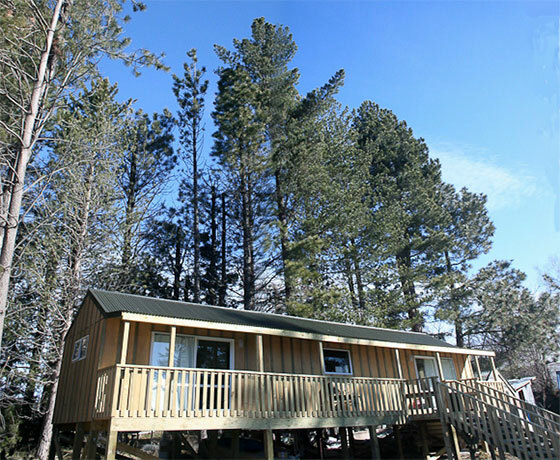 The "Pines" two bedroom both en suite" are two fully self contained units joined in the middle with a kitchen. The two en suite studios each have a queen bed and a single bed. The two studio can be rented together, to make a two bedroom unit or separately, with or without the kitchen. Each unit has its own bathroom. This flexibility provides very comfortable accommodation for either small families or individual couples. Good sound insulation and the kitchen between the two units provide for peace and privacy. The kitchen can be rented for either unit because of the lock up arrangements. 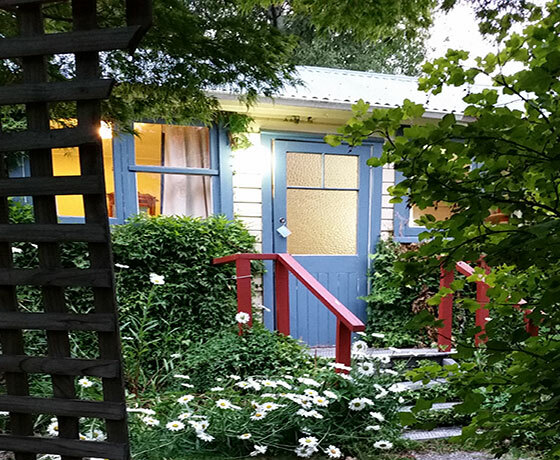 Furnished to a high standard, well insulated and heated, the two units offer a comfortable stay for one or multiple nights. Rented here as the full two bedroom unit with kitchen for four persons. space for 2 extra persons available with surcharge. Ideal for 2 persons.The Tui is comfortable and warm,with furnishings to a high standard. It has a small kitchette, good facilities and a balcony with views to the mountains. Ideal if you want somewhere to get away from it all for a couple of days without paying an arm and a leg.. The cottage is stand-alone, has a separate entrance, and parking. The Tariff is $NZ140 per night for two persons. Heat pump and air conditioning ensure a comfortable ambient temperature. 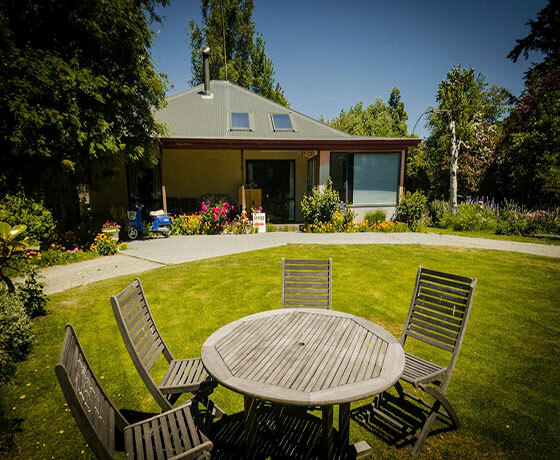 How to find Lake Tekapo Cottages? Travelling from Christchurch into Tekapo take the road on your right before crossing the bridge. This road will take you toward the lake and Church of the Good Shepherd (signposted). Take the first right into Sealy Street. Lake Tekapo Cottages in at the end of the quiet cul de sac. Travelling from Queenstown drive through Tekapo Village and over the bridge then turn into the road directly left, which is Pioneer Drive.